This is a picture of Portpatrick Harbour. Although I have lived all my days in Scotland I always think that Portpatrick should somehow be in Ireland as it has a very Irish sounding name. However, of course it isn't. Portpatrick is quite remote in that it is almost as far west as you can go in Southern Scotland, and nearly as far south as you can go in Western Scotland. 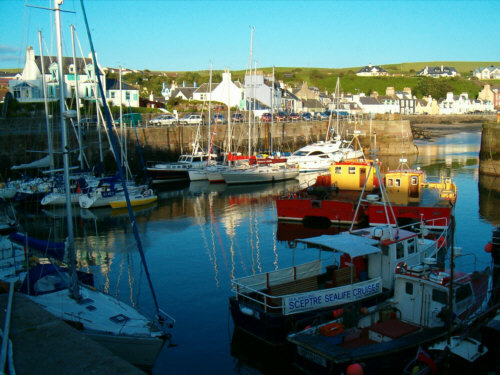 The seaside village has a history which stretches back over 500 years as it was the main port for the short crossing to Ireland (this has since been taken by Stranraer due to more favourable conditions).